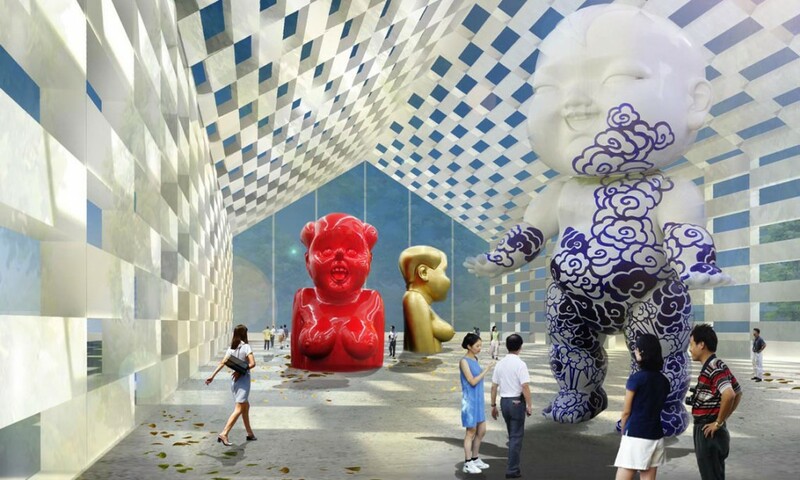 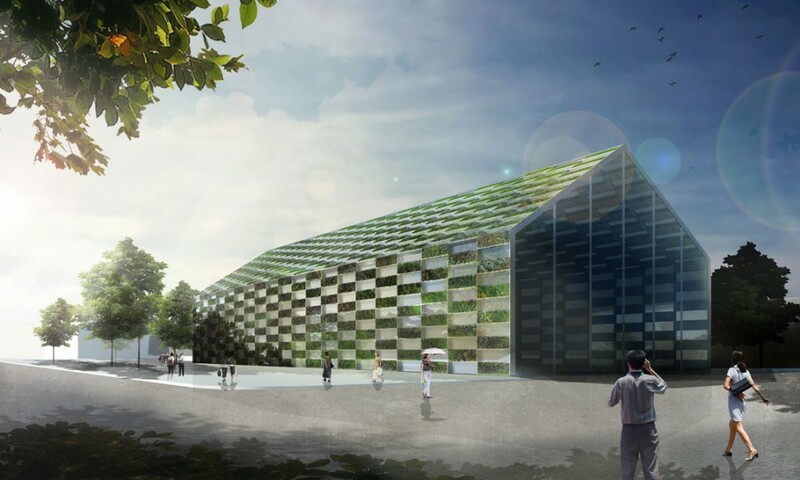 The Big Box project is situated at the coast in Hualien, a short drive from Taipei in Taiwan. 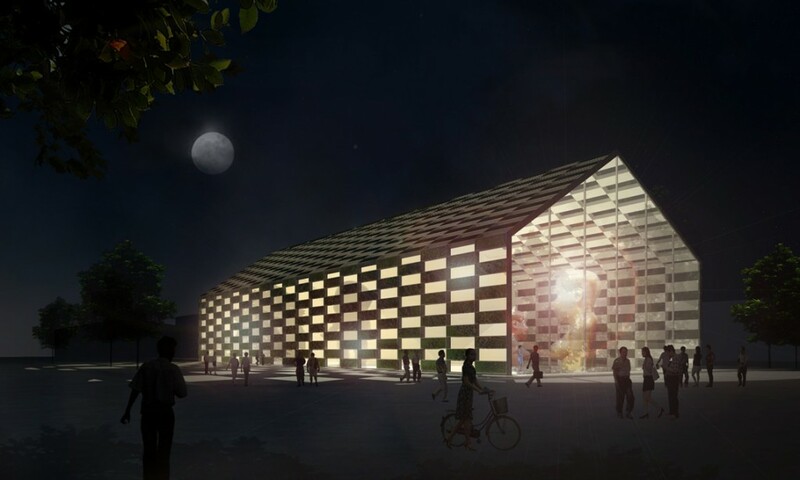 The project is designed as an adaptive reuse project around an existing shed structure, re purposing all of the existing structure, and adapting the building to become a flexible exhibition and storage space. 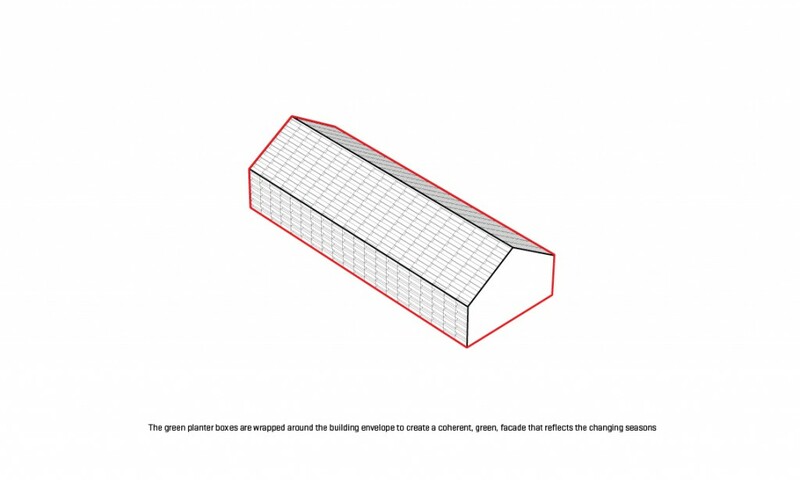 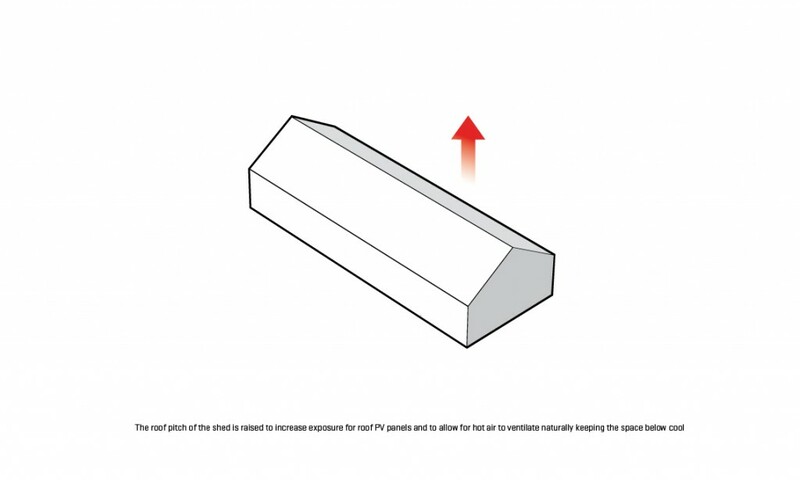 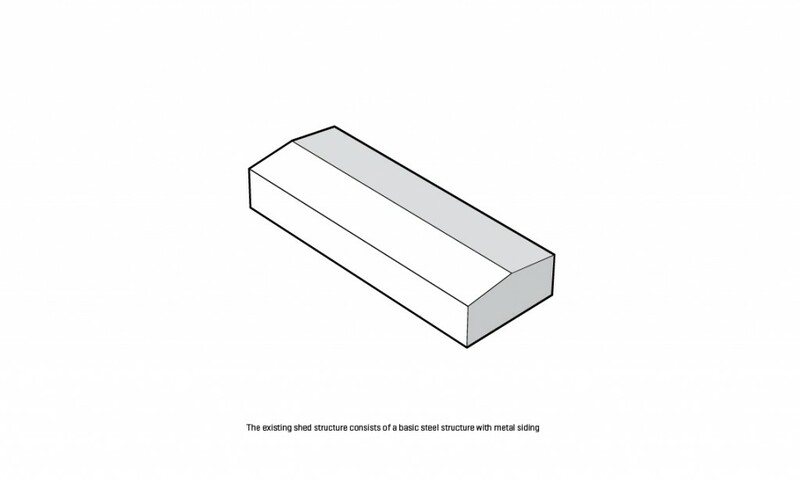 A series of modular, extruded aluminium, boxes create a consistent pattern that defines the entire shed volume. 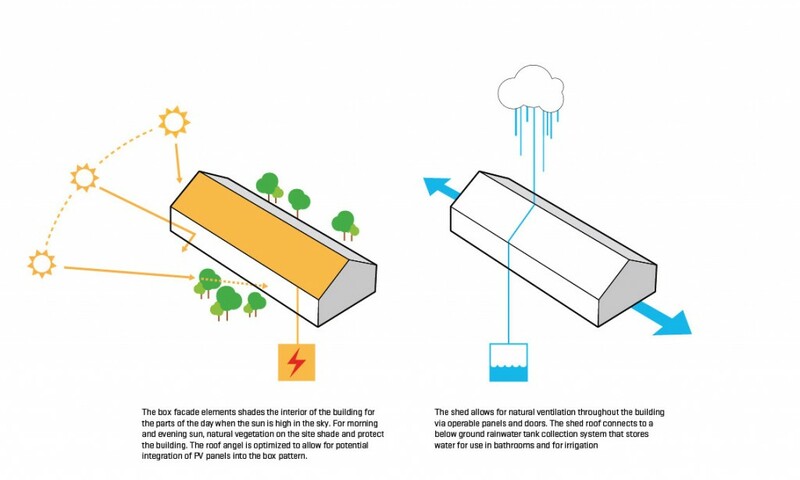 On the interior the roof and parts of the shed sides have glazed facades to allow for control of changing weather conditions. 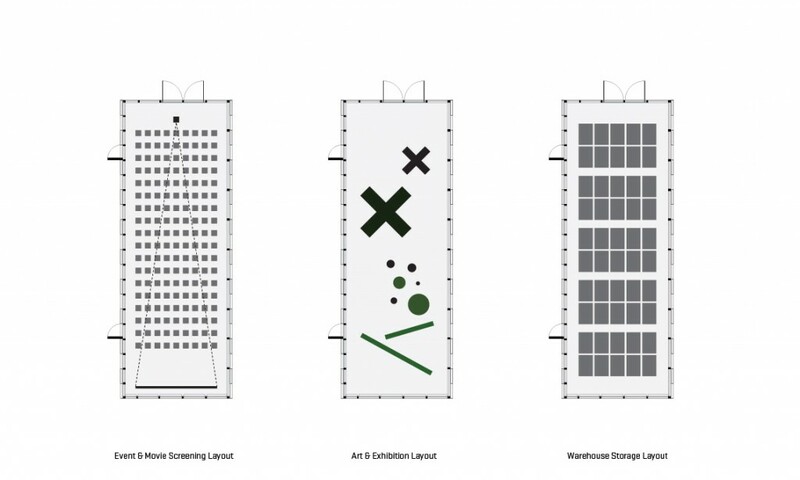 The boxes as units provide a blank, pattern, canvas for exhibitions, events and storage allowing for the maximum possible flexibility for future use. 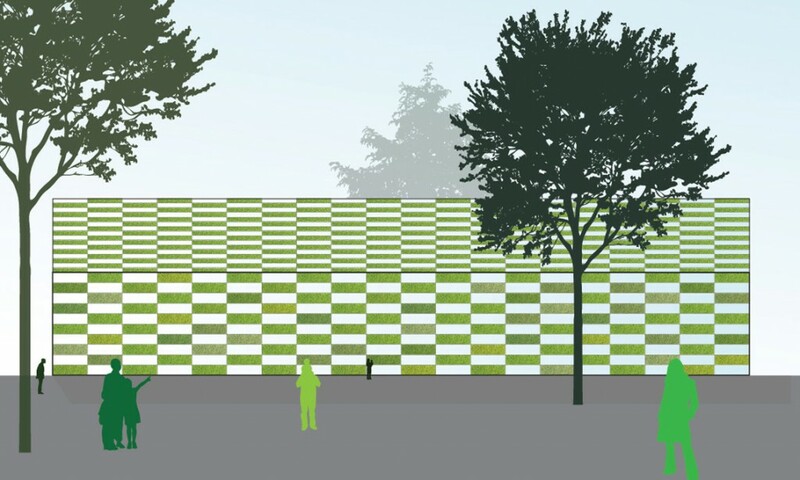 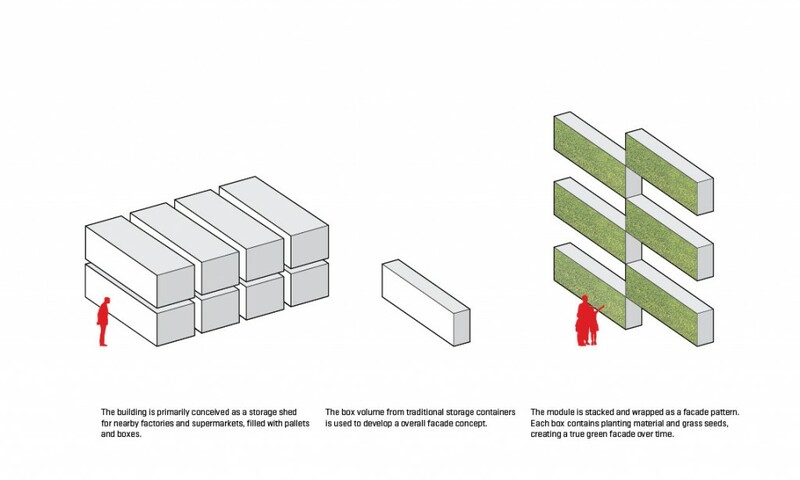 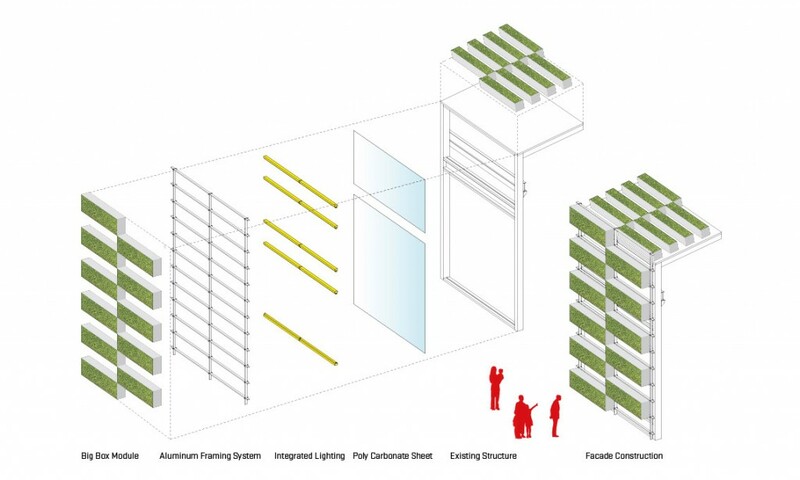 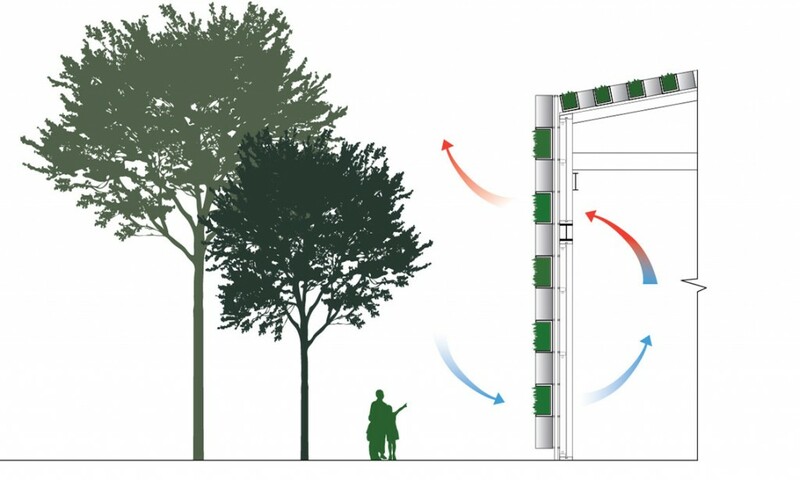 On the exterior each box holds prepackaged seeds creating a living and seasonal changing façade that directly engages the existing green surroundings while helping to create a temperate climate within the building.